When I was contacted in January saying I was selected one of Atlanta’s Top Chiropractors, I questioned how legit it all was. After chatting with them, I learned it was a peer reviewed survey & selection of top chiropractors, so it was real … I’d be listed in their magazine with the others.  However, if I wanted a plaque or featured photo in the magazine, that I’d have to pay for. 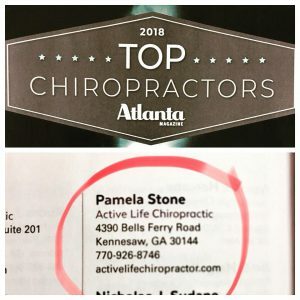 I opted to skip those two things, yet still am very grateful to be recognized as a top chiropractor in the Atlanta area. 18 years of hard work recognized.